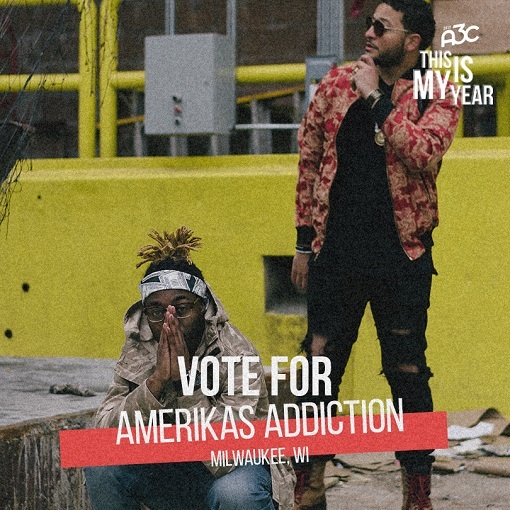 Amerikas Addiction has the opportunity to make hip-hop history in their city by becoming the first Independent Milwaukee artists to be Official Performing Artists at the world’s largest hip-hop festival, The A3C Music Festival & Conference in Atlanta, GA from October 4-8th 2017! They are apart of the “This Is My Year” challenge for A3C in 2017. The contest runs from Monday, May 29th 10am EST to June 2nd 11pm EST!